It's always so much fun to visit the big Line & Friends store at my favorite area Garasukil. It's like a Disney store but for Asians and everyone wants to take photos with the big bear, duck and cat. And their sweet cafe section is always crowded, we go there sometimes to eat this cute ice cream. 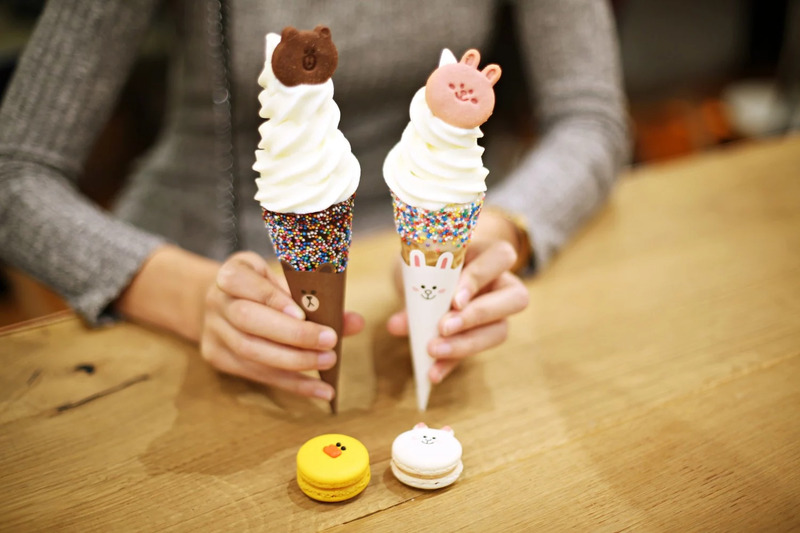 They are really good at hyping things in Seoul, even I want to go and eat just these specific ice cones and macarons since they are so cute and popular - I don't even know anything about the characters!